These two interconnected city parks create a nice patch of green in greater Tampa. 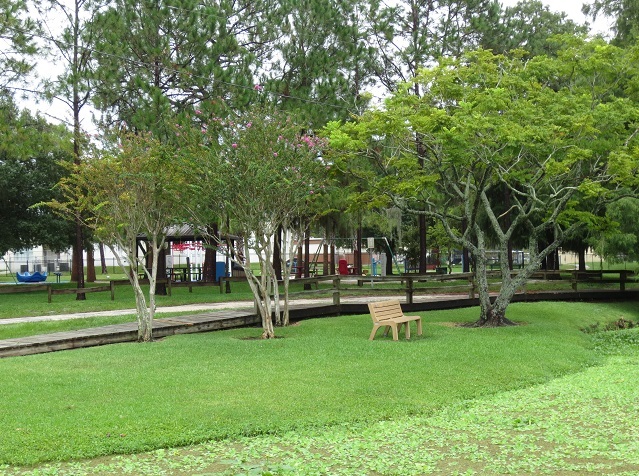 Visitors will enjoy the boardwalk and 2-mile nature trail system shadowing the Hillsborough River. From the parking area for Riverhills Park, take the boardwalk and trail southward to a forested area in the adjoining 30-acre Scout Park, a good spot for birds like Great Crested Flycatcher, Ruby-crowned Kinglet, Red-eyed Vireo and Palm Warbler. A trail loop at the end, a spur trail running north, and another restroom encourage longer searches for skulkers such as House Wren and Common Yellowthroat. Wading birds like Great Blue Heron, Snowy Egret and Glossy Ibis roost on islands in the river, and waterbirds like Hooded Merganser, American Coot and Pied-billed Grebe can be found. Look for Limpkin and Solitary Sandpiper as well. A boat dock and ramp are located by the parking area; launch your craft and paddle amongst the islands for closer views of waterbirds and other wildlife.